It is prefered, though not required, that you watch the anime, as we will be unable to provide you with 'stage directions' in the script. 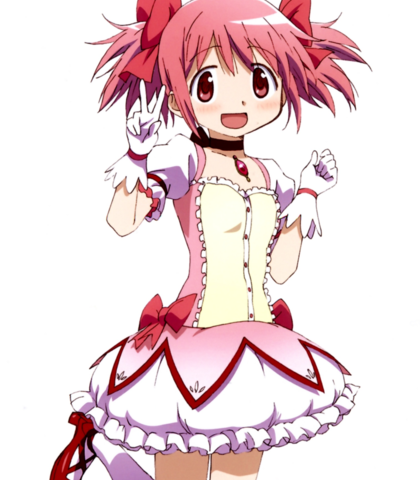 Sayaka is Madoka's classmate and best friend, a second-year at Madoka's school. She is a lively tomboy with strong ideals of love and lawfulness. After helping Madoka rescue Kyubey, she contracts with him to grant her wish to heal the wounded hand of Kyosuke Kamijo, a young violinist that she is infatuated with, visiting him daily in the hospital. 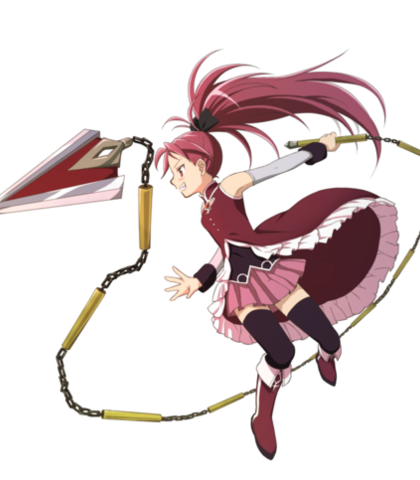 As a magical girl, Sayaka's weapon of choice is a cutlass, being able to produce multiples of them at a time. She also has an extraordinary regenerative ability due to the healing nature of her wish. 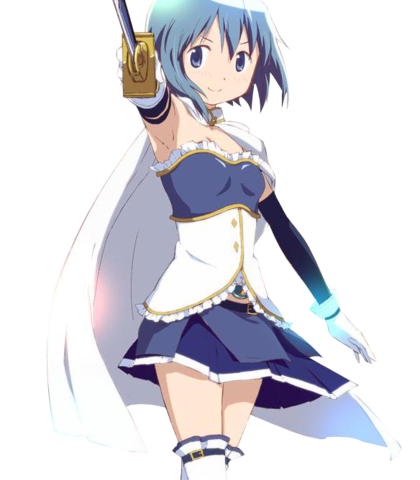 Sayaka insists that her wish is selfless and feels that fighting witches to save people is a bonus. As Sayaka's ideals are put against the reality of her wish's consequences and the stress of fighting, her view of the world is slowly corrupted. She becomes hateful and distrustful towards others, including Madoka, whom she lashes out at and accuses of being selfish. You're just too cute! I'm not gonna let you be popular with the boys. You're mine, Madoka! Mine, mine, mine. And there I was, thinking she was this awesome girl, but it turns out she"s a total psycho! Ah! I hope she doesn't think acting like a weird transfer student is cool. That's so MOE, it makes me sick! (Panicked) This is some kind of joke, right? I'm stuck in a bad dream, but I am dreaming, right? Right, Madoka?! (Adorable/baby sounding voice) Kyubey is a genderless extraterrestrial being posing as a familiar who can grant any wish to a certain girl, on the condition that she become a magical girl and fight against witches. When the chosen girl makes a contract with him, he extracts her soul and places it inside a soul gem, reconstructing their body into a shell that is more resilient in order to fight witches. He constantly tries to get Madoka to make a contract with him, as she allegedly possesses great magical potential within her that would allow her to become the most powerful magical girl. He can only be seen or heard by magical girls and those with "magical" potential, and is able to communicate with them telepathically. 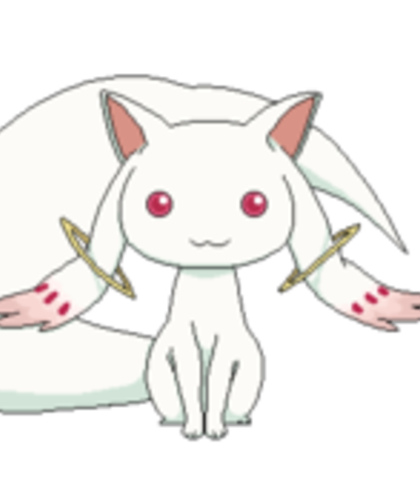 Kyubey has an unknown but possibly infinite number of bodies; when one is killed, another body appears and devours the destroyed body. I will grant each of you one wish, any wish you desire. If magical girls are said to be born from wishes, then witches are creatures born from curses. Magical girls bring hope to the world, witches bring despair. And since they're invisible to humans, they are that much more insidious. Anxiety and mistrust, rage and hatred... They sow the seeds of disaster all over the world. That's so odd. Most girls accept my offer right away. 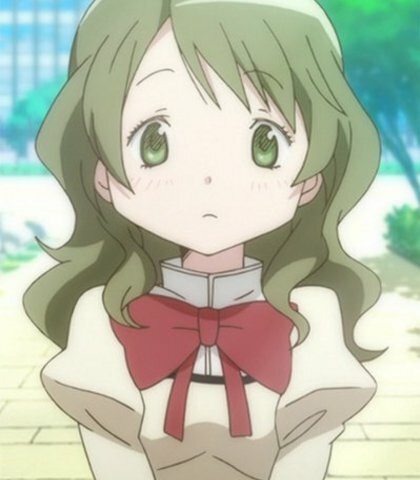 Mami is a veteran magical girl and a third-year student at Madoka's school. She lives alone in a penthouse after the death of her parents in a car accident, during which she was only able to survive by contracting with Kyubey to save her own life. 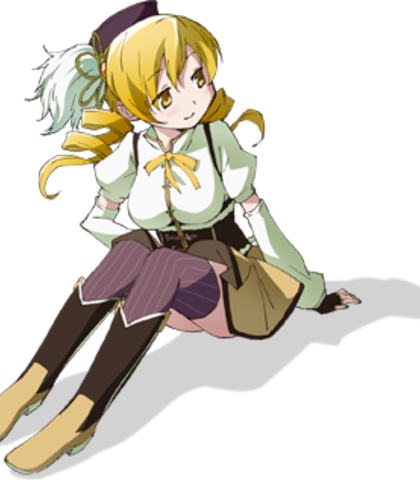 Mami is particularly focused on saving those around her, with a traditionally selfless perspective on the role of magical girl, and has a habit of giving names to her finishing attacks. Though her outward disposition is cheery and confident, inside Mami feels deeply alone as she has no friends to confide in or support her as she fights. That was close, wasn't it? But don't worry, you're safe now. Thank goodness. You rescued Kyubey for me. I'm very grateful. He's a dear friend of mine and I was so worried. Oh, that's right. Maybe I should introduce myself. Actually, it's going to have to wait a bit. Please excuse me. I have to wrap this up first. You don't understand, do you? I'm telling you I'm willing to overlook this. Honestly, don't you think it would be best if we didn't do this right now? 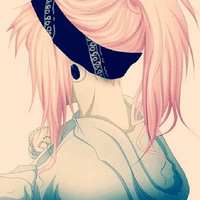 Kyoko's pretty stubborn and has a fiery personality. She can be self centered when she wants to be, though this is just a facade she made to herself and to others, since she's actually really sympathetic and tender. She really does love people and there's many people precious to her, but after her bad experiences, she decided to cover up those feelings and become a totally different person. Ah, Sayaka! What the hell...? What are you? What have you done to Sayaka?! And do you dare call yourself human?! That came out the wrong way, my bad. I know this sounds kinda crazy but... the thing is... we don't know she can be saved yet or not. So if there's still hope for that, I'm not gonna give up. Even if she was turned into a witch, maybe she'd be able to remember the voice of her friend. I was thinking, maybe if you call out to her, she'll remember being human. Homura is a magical girl who first appears in a nightmare of Madoka's. She transfers into Madoka's school the day after the dream. She is unnaturally good at everything she does, including academics and sports. This makes her instantly popular, even though she is cold and demeaning towards others. Homura's indifferent personality is the result of her failures while going through almost 100 timelines. 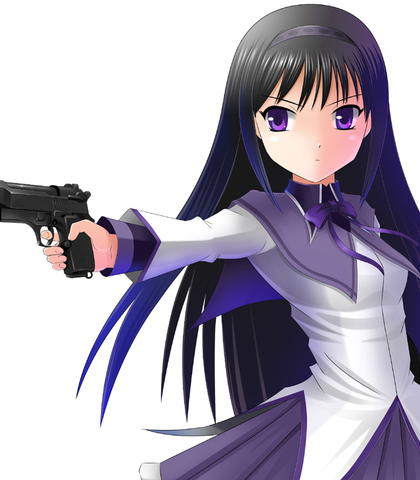 I'm Homura Akemi. It's nice to meet you. 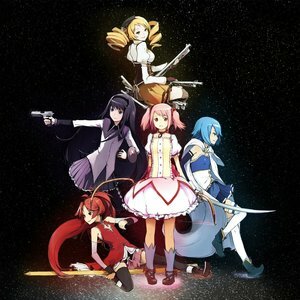 Madoka Kaname, do you treasure the life you currently live? And do you consider your family and your friends precious? Good. Because if that's the truth, then you wouldn't try changing the life you have or the person you are. Otherwise, you'd lose everything you love. Madoka is a kind and gentle 14-year old girl who comes from a loving family. A second-year at middle school, her life changes when she encounters the incubator Kyubey, who offers to transform her into a magical girl. She sees herself as a person without special qualities or talents, and after seeing Mami fighting against witches, aspires to become a magical girl like her. She is a kind and gentle person that is averse to fighting. She hopes that the magical girls will support each other, sometimes even putting her own life at risk to help them. After witnessing Mami's death, she grows uncertain about becoming a magical girl, growing ever more hesitant as the true cost of the role is revealed to her. Huh? Uh, yeah, that's right. But, um... So anyway, how do you know your way there? I mean, you're new here and all. Um... Miss, um... Akemi? Uh, nothing. It's just that you have an unusual name. But not in a bad way or anything, I was just thinking how it sounded cool... for a first name, I mean. 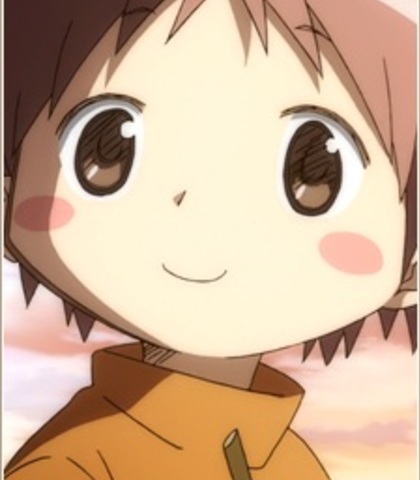 A boy whom Sayaka constantly visits in hospital. He used to be a violin player, but an accident crippled him and destroyed the feeling in his fingers, making him unable to play an instrument again. 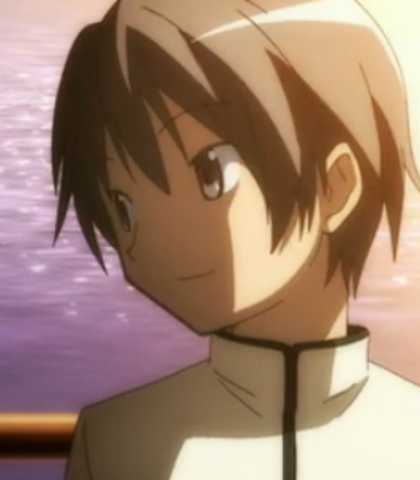 Sayaka and Hitomi have crushes on him. Cut it out. Stop torturing me already. Why do you keep coming here? You think I like listening to this music? It's like you're trying to hurt me. I don't wanna hear this crap anymore! What's the point if I can't play! All I can do is listen! I... I just... I just, ah! I can't move it... I can't even feel the pain anymore! My hand's useless. My hand is never gonna move right again. Unless magic and miracles suddenly become real. Madoka and Sayaka's classmate and friend, although she sometimes feels left out of Madoka and Sayaka's friendship. Hitomi is quite popular amongst boys. In your dream, what happened when you met her? If you want my opinion, I think it's entirely possibly you met Miss Akemi somewhere before. Hehe, perhaps. Uh-oh, look how late it's gotten. Excuse me, but I really should be going now. 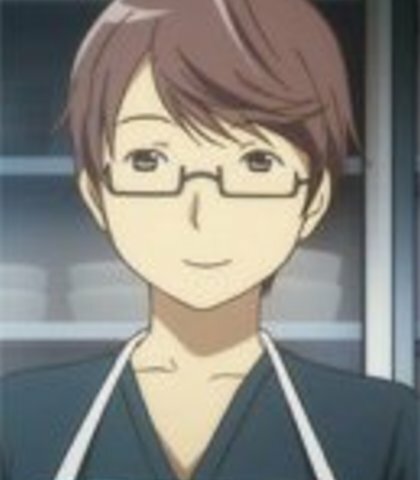 Madoka's father, who takes care of the housework, cooking, and cleaning. Tatsuya's waking her up. He might need some help, though. Hey, you're gonna be late if you don't hurry. An elementary school-aged magical girl. 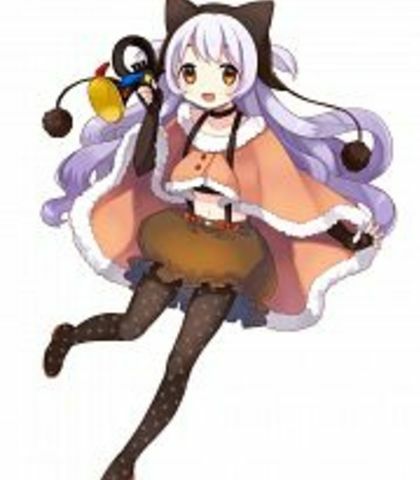 Nagisa is usually rather childish, serving as the plucky and cheerful comic relief of the group, though she's shown to be more perceptive than she seems. She tends to speaks rather eloquently. Let me explain that from my own lips, We were once bringers of hope, who despaired and spread our curses. Madoka's mother, an executive who wears a lot of makeup and sometimes comes home drunk, making it hard to wake her up in the morning. Aside from this, she is a caring and gentle person and often gives Madoka advice whenever she is troubled. If it's not the real thing, this is usually when it starts to fall apart. But if they made it this far, they should be okay for another year. There's no such thing as too flashy, hon. A woman can't afford to get teased 'cause she looks sloppy. Hah, perfect! Your secret admirers are gonna get all wobbly in the knees. All right! I'm off to work, everyone. (Female voices also welcome) Madoka's younger brother, He's 3 years old. Mama, mama! Wake up, wake up! C'mon, mama! Mama, mama! 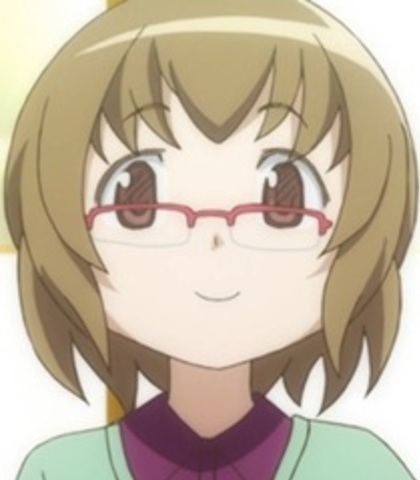 Madoka's teacher, who constantly has trouble keeping a boyfriend. She is good friends with Junko. Ahem. I have a very important issue to discuss today. So eyes front, ears open! Is the correct way to fry an egg, sunny side up or down? Come on, Nakazawa. I don't have all day. Therefore, goes without saying that you should never judge a women's beauty by the way she fries her eggs. Remember, girls, do not associate with men who refuse to eat eggs that have been fried sunny side down. And you boys, better make sure you don't grow up to be men who complain about how the darn eggs are cooked, understand?! Ahem. Well, now that that's out of the way, let's give a big warm welcome to our new classmate! Should be able to do an array of voices. Say what ever comes to mind. 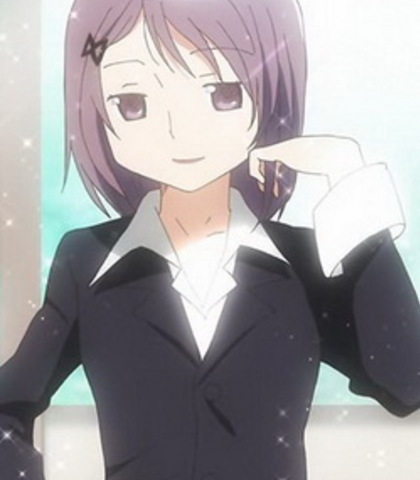 A student in Madoka's class, who is constantly picked on by Kazuko to answer her questions about dating. 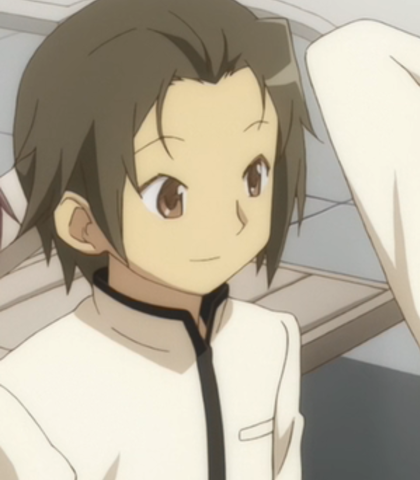 He is one of Kyosuke's friends. I... I gue... uh... You can fry it either way, can't you?